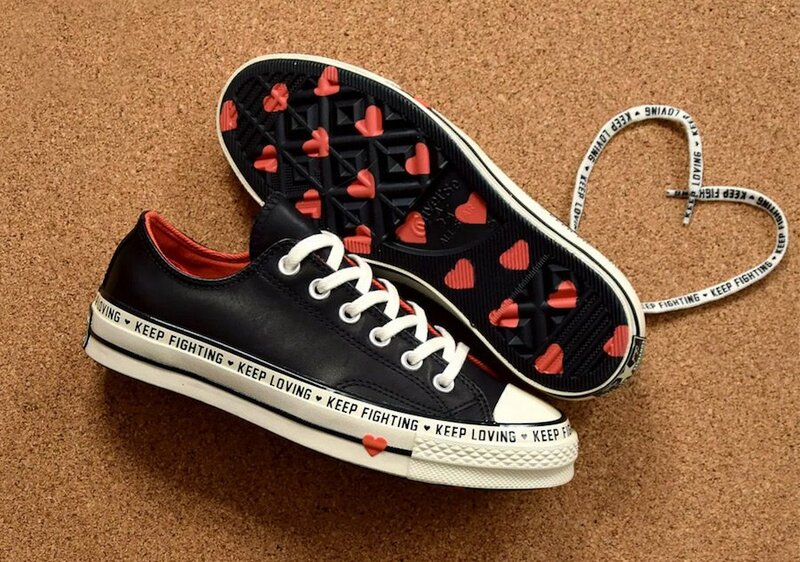 Converse is celebrating Valentine’s Day with a special Chuck 70 Low releasing that features hearts and special text. 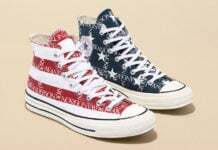 Looking closer this Converse Chuck Taylor comes with Black leather across the upper while utilizing Red accents. 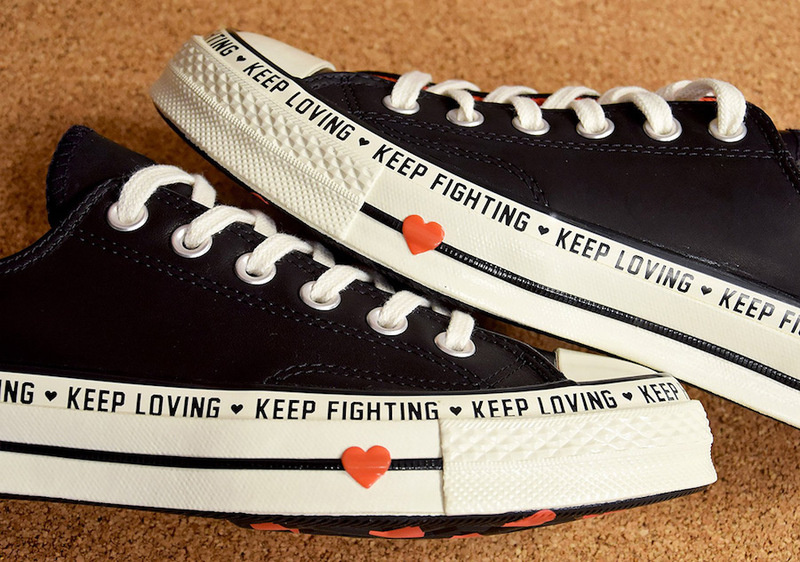 Across the vintage White midsole is text that reads ‘KEEP LOVING, KEEP FIGHTING’ done in Black. 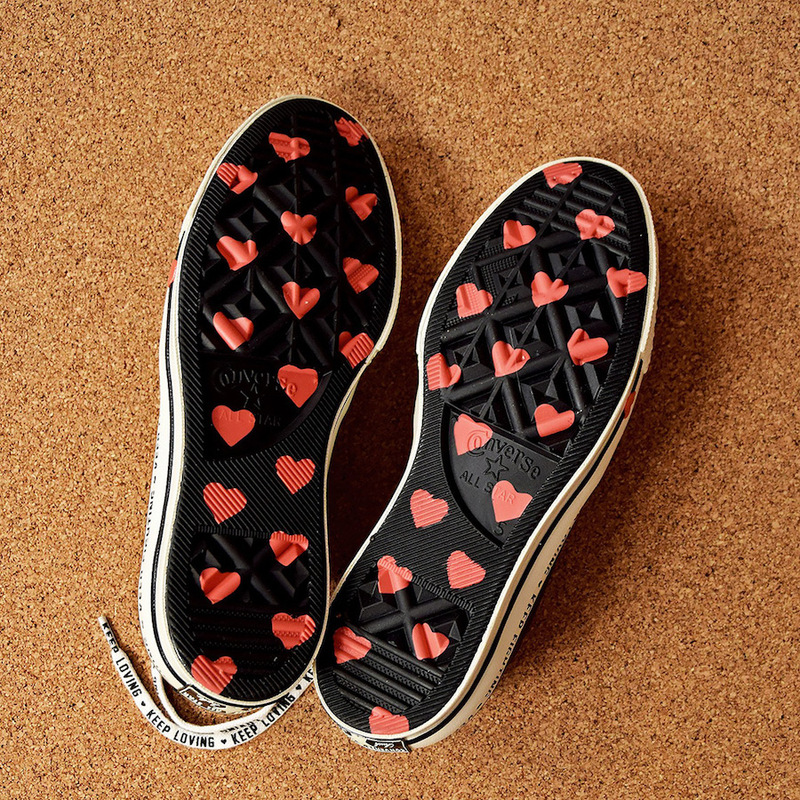 Finishing the look is Red on the liner and hearts on the midsole and outsole. 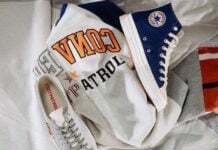 For those that want to purchase the Converse Chuck 70 Low ‘Valentine’s Day’ they are now releasing at select Converse retailers including online at Nike.com. Retail price is set at $90. Continue to scroll below to check out more images which will provide you with a closer look.